The "TBR," or, "To Be Read" list, for those not in the know (those like me, who had no idea what the hell that meant for the LONGEST time), keeps growing. I'm packing this Kindle full of books and they're all at unbelievably low prices. I haven't paid more than $2.99 for a book yet! And considering that books now-a-days will cost nearly $10, I'm pretty stoked about it. Why I picked it up: Hello! Angels? Demons? Forbidden love?! It reminds me of a story I was working on and never finished. (Mine was about Lilith and Lucifer, but that's neither here nor there.) It sounds epic, doesn't it?! On a lonely country road, in the cold of winter, two runaway teens are out of gas and stranded. They seek shelter in a distant farmhouse, only to find it's the lair of a gang of vicious kidnappers. Can they dodge the crooks and the weather long enough to save the kidnapped child...and themselves? 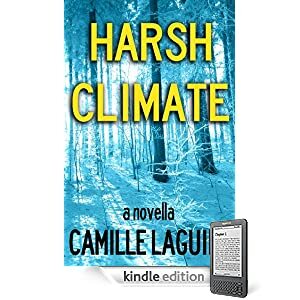 HARSH CLIMATE is a fast paced novella of crime and suspense, approximately 30,000 words (100 pages). 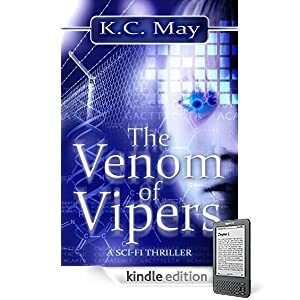 Why I picked it up: She had a badass banner on the Kindle Boards. I wish I were kidding. I saw the banner and thought, "Runaway teens? Shelter in a crook's lair? Could be fun!" So I picked it up. Besides, I like her. I wanted to support. Seventeen-year-old Genesis Green is living anything but a charmed existence. As far back as she can remember, she and her mother have been bouncing from town to town trying to make a better life for themselves. Late one evening, Genesis and her boyfriend are in a car accident. Carter’s SUV rolls, and Genesis finds herself injured; lying on the pavement. Just before she slips into the darkness, an unfamiliar voice calls out to her: promising everything will be fine. His name is Seth, and he’s the Guardian assigned to protect her. Now, strange things are happening: Genesis is having bizarre visions. The biggest surprise comes when she learns that, through these revelations, she has the power to change the outcome—to alter courses. When the Guardians learn about her gift, they ask her to join forces; to help them. The only thing standing in her way is Seth. 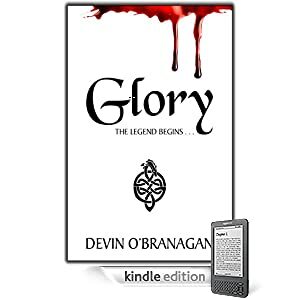 To join the Guardians means stepping into the middle of an epic battle between good and evil. Even with supernatural protection, there’s no guarantee that Genesis will ever be safe again. But before she can choose between the angel she loves and the purpose she’s discovered, the Evil Ones make the choice for her. Why I picked it up: Well, you all know about my obsession with Katie by now... (I think she's afraid of me, but that's okay. She'll warm up to me. ;) ) But, seriously... check out that teaser. Tell me this book doesn't sound incredible. I double dare you. Plus, the dude's name is Seth. And that's the name I used for the very first full-length book I ever wrote. I died a little of happiness when I saw this. The only hope for the future is a cure hidden inside Ryder Stone. Created in a lab and brutalized, betrayed and hated by humans, Ryder yearns for freedom. On the outside, a group of human genetic purists want him dead. A spooky graveyard. A creepy basement. A pair of coffins. Why I picked it up: I have a crush on L.C., and this is the only book she wrote that wasn't for adults. Not even kidding. This is the nicest woman ever. Whenever I see her avatar on the forums, I know the comment is going to be nice, supportive, and encouraging. She always has a kind word for everyone. I'm a huge fan of L.C.'s. Vivian, You're right LC Evans (Linda) is always so sweet. Her comments are upbeat. I haven't read Night Camp yet. Thanks for the recommendation. I did enjoy We Interrupt This Date (laughed like crazy) and also Jobless Recovery which is laced with humor. Three of your books here are on my tbr list! You must have good taste. :-) And LC Evans is one of the nicest person I know, not to mention a wonderful writer. 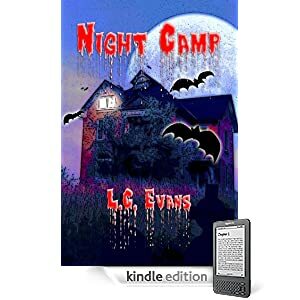 If Night Camp is as good as her other books that I've read, then it has to be a fantastic and fun time. I'm so glad you guys liked the books I picked up! Karen, you have excellent taste, too, might I say! ;) I'm going to have to check out what else you've got on your reading list! Barbara--you'll definitely have to share your reading list, too! I'm excited to see it! And that's great that L.C. 's other books are so funny... I bet my mom would love them! 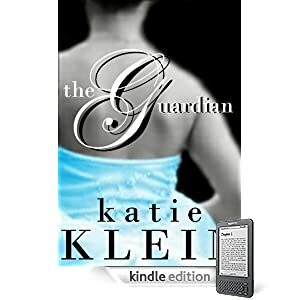 I just ordered The Guardian from B&N (for my Nook- I'm loyal, if nothing else.... Thanks for the recommendation! And it does sound AWESOME! Also--another friend of mine had a Nook, and she showed it to me, and that thing is BEAUTIFUL. I can see why you love it!